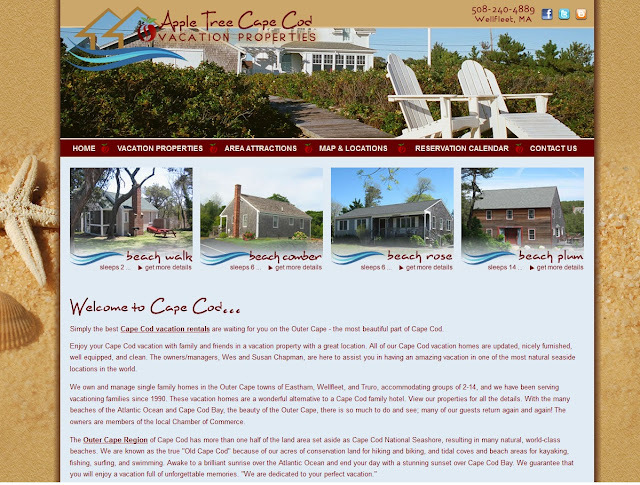 Susan Chapman of Apple Tree Cape Cod Vacation Properties came to Acorn for a new web site. We were happy to work with a customer out of our usual Bed and Breakfast Category. Susan owns and operates single family home vacation rentals in Outer Cape Cod. She wanted a site that would showcase the charms of the area and give potential customers great information about her homes. This site is a beach-lover’s dream and we are so happy that we have made our customer happy! It is great that you are by a National Seashore. Sounds like a great place to hike and bike.